Add Tan Vinyl Cover Please Select Yes, add vinyl cover! (+$69.00) No, thanks! The brown metal base and the tan ceramic tile top work together to make the Napa Valley Fire Pit Table as beautiful as it is. The tile top can easily be taken out to switch out the tiles and allow a customized look for your table. The durable and sturdy base stores and hides away unsightly propane tanks up to 20 pounds. 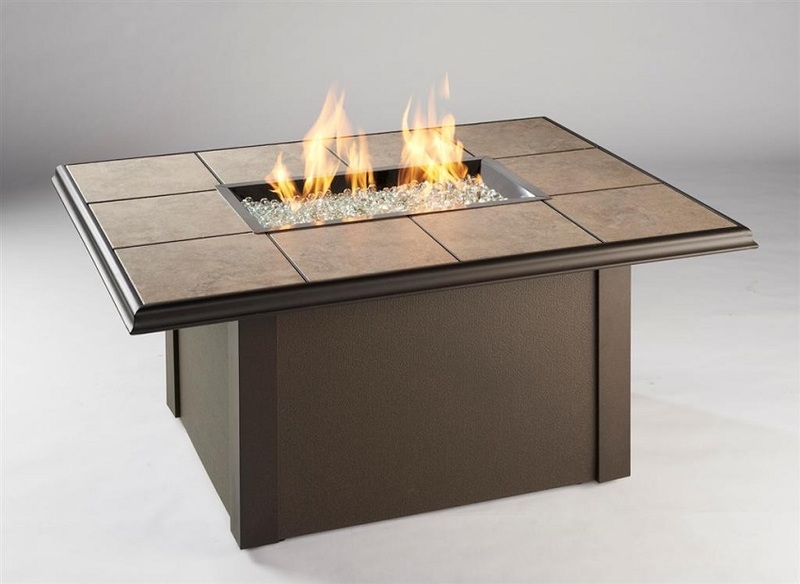 The featured crystal fire burner works together with an electronic ignition and adjustable flame control to give you as much control as possible.